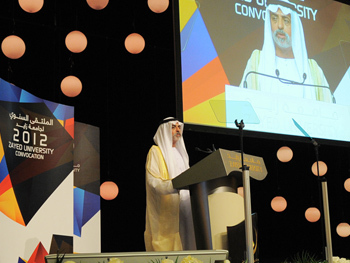 His Excellency Sheikh Nahayan Mabarak Al Nahayan Minister of Higher Education and Scientific Research, President of Zayed University reflected on the various components that will leverage Zayed University’s position amongst Top international education institutions, during the opening speech of the 15th annual Convocation that was held at Zayed University’s new Abu Dhabi campus located in Khalifa City- on October 4, 2012. 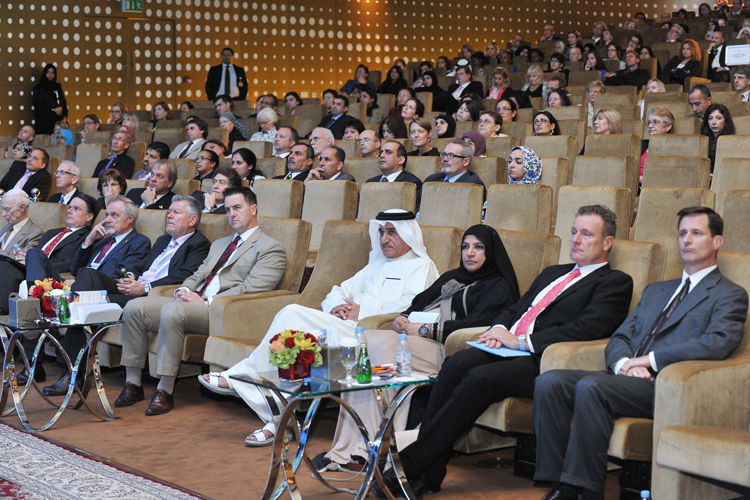 His Excellency thoroughly thanked the leaders of the nation as well as Zayed University’s returning staff and faculty before presenting the annual staff and faculty awards and meeting the newcomers. 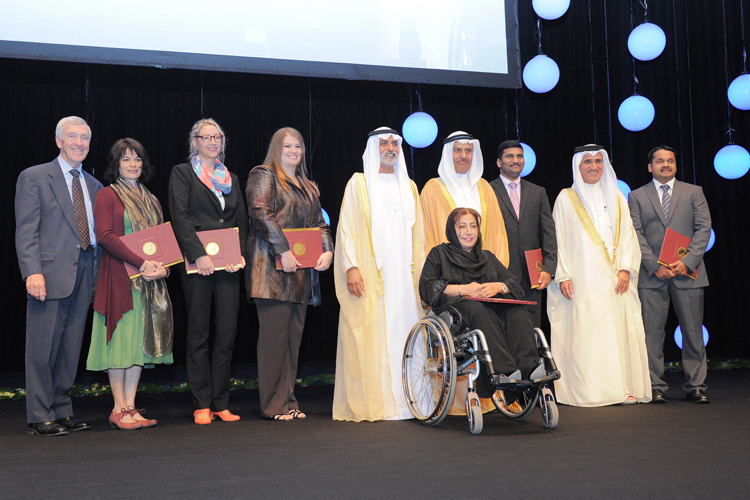 The theme of this year's Convocation was " Technology Enhancing Educational Innovation and Effectiveness" as the university just launched a bold initiative that revolves around using mobile technology in classrooms in order to connect its educational programs more closely with the way students are learning today. 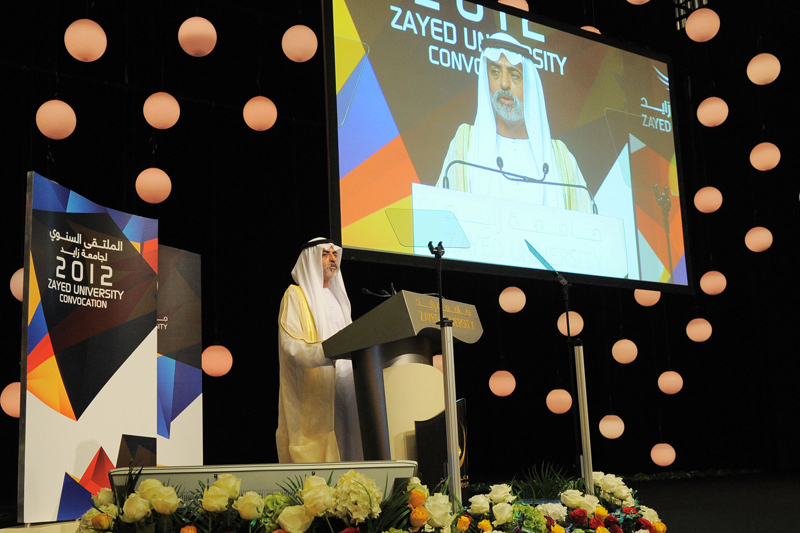 H.E Sheikh Nahayan also unveiled the names of the new institutes, and announced that a larger budget will be allocated for research and creative initiatives at Zayed University, within the next 5 years. 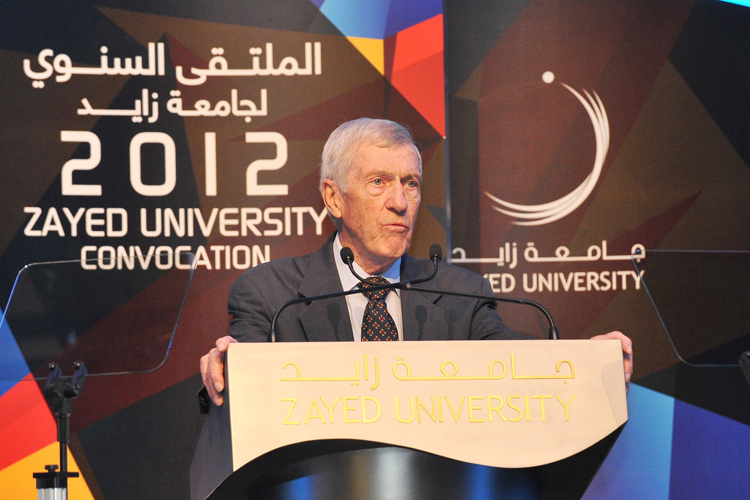 These initiatives, once again, reiterate Zayed University’s commitment to providing the nation’s youth with the best quality of education presented by top Faculty and coupled with advanced research and technology methods in order to ensure they are fully prepared for a plethora of employment opportunities in both public and private organizations upon graduation. Also present were H.E. 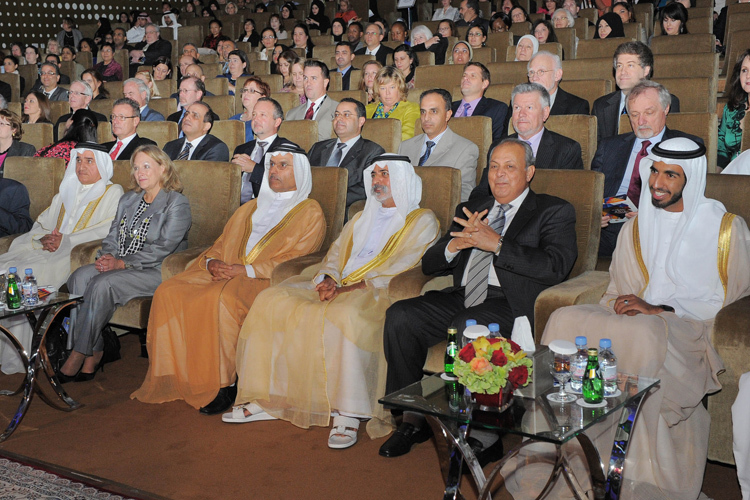 Ahmad Humaid Al Tayer, Sheikh Shakhboot Bin Nahyan Al Nahyan, Dr. Sulaiman Al Jassim, Vice President of Zayed University, Dr. Larry Wilson, Provost of Zayed University, and a number of Zayed University faculty and staff.